My Grandmother will turn 99yrs old this week. I found this photo of her taken in 1940s Hanoi. A beautiful and amazing woman who has taught me many kitchen skills and the delights of Hanoian flavours. 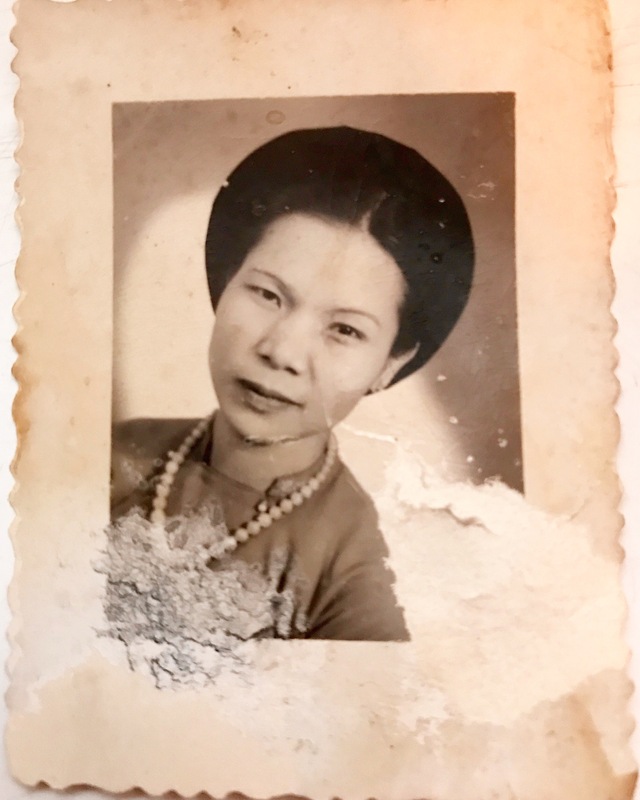 I particularly remember early mornings as a child watching her make delicious Banh Cuon (steamed savoury rolled pancakes) which require great patience and a meticulous hand. She would spend hours creating this dish and myself and my sister @lola_lely would devour it in minutes. To my amazing grandma – Thank you for teaching me the art of love and patience in our little family kitchen.